HomeComic PreviewsJudge Dredd: Titan Out Now! Judge Dredd: Titan Out Now! A collected edition of Judge Dredd’s adventures on Titan is now available! Rob Williams and Henry Flint’s runaway hit story – collected together for the very first time! Justice Department has lost contact with its penal colony on the moon of Titan – a big problem considering that it houses over a thousand law-breaking ex-Judges, many of them with heavy grudges. Now Judge Dredd must team up with SJS Judge Gerhart – a man who holds him responsible for ‘Chaos Day’ – and battle a formidable army led by one of the most dangerous ex-undercover Judge’s ever. 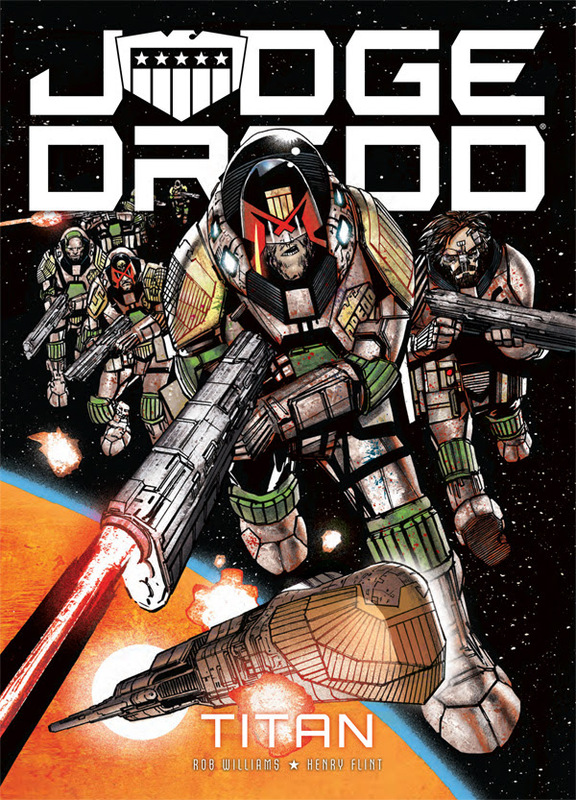 An extraordinarily powerful collection that pushes Dredd to his very limits.